Diamond Cut Productions DC TEN Audio Restoration Software (10.5 E-Version) - Tracer Technologies Inc.
Add a phono preamp to your software order and save money. These cool portable units will save you from dragging your stereo to your computer or vice-versa. DC TEN has quite a track record to live up to. The Diamond Cut products have always been about one thing...getting the best sound possible, from your treasured recordings. The beauty of this product, now shipping for almost 15 years, is that it doesn't try to be all things to all people. It specializes in taking old recordings and making them sound new again...period. Just about every 2 years, we create a new version of the product...an all of the new features deal with taking your old recordings, and making them sound better. It's a simple concept, but one we live by and a major reason why there is not one single product on the planet that does as good a job as DC TEN. 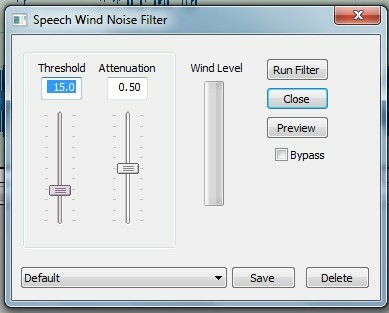 This set of noise reduction and audio enhancement tools will help you quickly and easily remove noise like clicks, pops, hiss, surface noise, hum, buzz and other audio disturbances associated with older formats. After you've removed the noise, you have an equally powerful tool kit offering the sweeteners...enhancement tools that can breathe life back into your audio memories and treat your ears to your favorites exactly as you remember them...and sometimes better. With DC TEN, you simply record your audio to the hard disk of your computer using your sound card (nothing new here...it's no different than recording to a cassette player in the old days) and then audition and clean up the audio using our sophisticated arsenal of professional quality tools to remove the noise and enhance the remainder. Keep in mind that most of our customers are old enough to have a record collection, so that means they're also old enough that many of them weren't born with a computer in their right hand. That's why Tracer offers the world's best technical support. We answer our phones and our emails and simply help you if you run into some confusion along the way. Like any other tool you've used in the past, with a little practice, you'll quickly be up to speed and have an expert understanding of the product you're using. We've also done our part to make this process as painless as possible. Most of our filters; both enhancement and noise reduction have a "Preview" button. You simply open the filter, click on Preview, and you're now hearing the audio playing in realtime with the filters in place...no different than adjusting the equalizer on your stereo system. You make realtime adjustments using your ears as your guide and "dial in" the audio until it sounds perfect. Then you simply hit the "Run Filter" button and DC TEN makes you a new copy of the audio that your ears have just perfected. With this method, even the newest beginner can start achieving quality results in minutes! Besides being incredibly easy to use with our standard filtering and enhancement, DC TEN also has some even easier features like our EZ Clean Filter and our EZ Enhancer. These complex filters offer multiple filters that combine noise reduction and enhancement and can remove several types of noise simultaneously...almost like Audio Training Wheels! We've set up an environment that fits any users' needs: If you are the type of person who sweats the details and wants perfection, you'll have several approaches to each problem and also detailed extra information like Tracer's Educational DVDs that help you learn more about the product and become more productive with it. If you just want to quickly transform your records and tapes to CD, MP3 or other popular formats, our EZ filters combine speed with our time tested, world famous filters. We also offer great telephone and email technical support so you never feel like you're being left out in the cold. 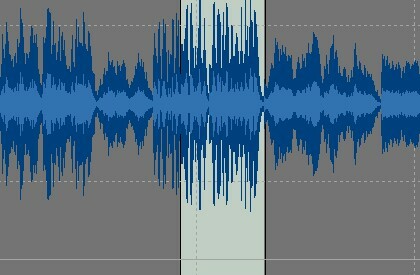 Advanced Audio Restoration Remove clicks, pops, hiss, surface noise, Hum, Buzz, etc. from your favorite audio recordings quickly and easily. Tune Library Organizes Your Collection Never lose an audio file again. Our new Tune Library tracks every audio file on your hard disk and makes it readily available for cleanup, enhancement, or conversion to CD, MP3 or WMA It even doubles as a complete librarian tha even has realtime built in noise reduction to make it the world's most powerful listening system! The World's Best Tools! There's a good reason that law enforcement agencies (that can afford any tools available) use our products for their Audio Forensics. Simple...they're the best! Legendary Technical Support Our products are easy to use, but we not only offer free technical phone and email support, but also provide a thorough manual, Getting Started Guide, and even have DVDs that walk you through the process of audio restoration and enhancement. You can learn this in minutes...and we'll help! Big Click Filter Most impulsive filters are limited in size for the clicks they can repair...DC TEN has improved our predictive algorithms,so you can repair huge clicks with relative ease. Subharmonic And Overtone Synthesis Create lifelike new high end and low end that didn't exist on your recording. Our powerful new synths can create amazing new depth to your recordings that hasn't been there since they were initially recorded. Tune Librarian Multi-Filter Now you can even improve your material prior to processing it through DC TEN. We now allow you to turn on your Multi-Filter within the Tune Librarian so that you can do realtime enhancement and noise reduction while you're just listening to the playback. Your DC TEN never sleeps! Compression Support Import or export the formats you need. We now support Broadcast Wave (BSE), Vobis Lossy compression and Flac Lossless compression along with our grown list of stand audio file support. Auto Screen ScrollingNo longer are you constrained to the limits of the audio on your screen. When DC TEN reaches the end of the screen, it automatically scrolls left and continues playing. Very handy when you're editing! Burn Baby BurnBesides standard audio disc burning, we've added data and DVD to our burning support. You can output what you need to output! Increased Presets Now over 1270 Included! These factory settings help you quickly get results while still learning the product and also give experienced users a starting point with well defined descriptions and complex filters already designed for you right out of the gate! EZ Clean One click noise reduction. Now, even the most inexperienced user can clean their treasured vinyl and tape recordings with one click of the mouse. DC TEN includes a powerful new automated system that seeks and destroys clicks, pops, hiss, hum and other disturbances common to older recordings. CD Ripping Now you can quickly and easily convert your audio CDs to Wave files or MP3 files using DC TEN's CD Ripper. Just go to File/Open, choose your CD Rom drive and select any number of the files there to be transferred immediately to wave audio so you can work on them with DC TEN. Direct X Support Now you can use your favorite plug-ins within the DC TEN operating system. You can even use them in the DC TEN Multi-Filter. Auto Leveling Got a bunch of files of varying volumes that you'd like to make into a CD? No problem, just go into our Batch File editor and tell it to Auto Level these files. The Auto Leveler will raise the level or normalize all of the files so that your CD level will not fluctuate during playback. Adaptive Filtering Added To Continuous Noise Filter This intelligent filter adapts itself to the changing nature of the noise in your file. As it gets smarter, your noise disappears. No Time Limits The wave file format has a 2 gigabyte limit. For those of you recording long radio shows or other events, this can be a real problem. Not with DC TEN. Though we can't fix the problem for Microsoft, we can find a nifty way of working around it. As we approach the limit, we simply stop the recording and open a second file. You get your whole recording...just split into several files. AVI Audio Support Many of our customers wanted the ability to open an AVI file and extract the audio for editing. Many of our customers will now be happy! You can play an AVI within DC TEN, you can select an area and extract the audio. Fat Bass Using the new FAT BASS section of our Virtual Valve Tube Simulator, you can build up weak or inadequate bass lines in your favorite tunes and get those floors rattling again. Note:If you place an order from outside the US and add any hardware, minimum shipping charges will be added after checkout. How About A Taste Test? Now's your chance to test drive this fine Tracer product. Just download the demo and you'll have several days to get comfortable with it before we ask for money. The clock on your demo starts ticking the minute you install, so make sure you're ready to play with it when you install it...otherwise, you may waste your available evaluation time. Also keep in mind that we are always happy to provide technical support on these products. Just call us at 717 764 9240 Monday Through Friday from 9:00 AM to 5:00 PM EST and we'll help you get off on the right foot. This technical support will remain even after you spend money with us. No one is born knowing how to remove noise and our expert staff is happy to answer any questions you may have. No question is stupid. DC TEN/strong> is an incredibly powerful product. This demo should help you get your feet wet. We also suggest that you download the Getting Started Guide that is also listed here. This guide will help you easily set up your sound card and stereo for recording and also lead you through a few sample restorations that are included in the demo. All of the filters in DC EIGHT work in a similar way, so these brief tutorials, while easily completed in minutes, will help you become very familiar with this powerful product. You probably won't need any additional help, but don't be afraid to call our 717 764 9240 help line if something doesn't seem right to you. The entire product manual is also included in this demo. After you install, just go to c:/Program Files/Diamond Cut Productions/DC 10 Demo and you'll find a file called Live - DC10 Users Manual.pdf. This can be viewed with a PDF reader or printed for your convenience.